It’s an interesting thing to explain to people overseas how and why the Australian year begins in the week after Australia Day in late January, especially to those from the Northern hemisphere. They look longingly at our long, languid summer from Christmas Day to Australia Day! Perhaps you are feeling the sudden increase in traffic again! Kids back into school routine! Or politicians back trying to win our votes. Our year at CCIW also takes a big step forward this week, with some key events. In particular, this Sunday we join together as one congregation for Vision Sunday, a wonderful occasion of giving thanks to God for the year past, and setting ourselves for the year to come in the grace and service of the Jesus Christ. This year, we meet at St John’s at 10am, and with the Ministry Centre now well settled in, we will have the opportunity to rejoice that God is wonderfully and powerfully present with his people. And then, on Wednesday, Feb 7 from 7:30-9pm, having thought and talked about our vision, we’re going to gather in an extended way to pray about it. 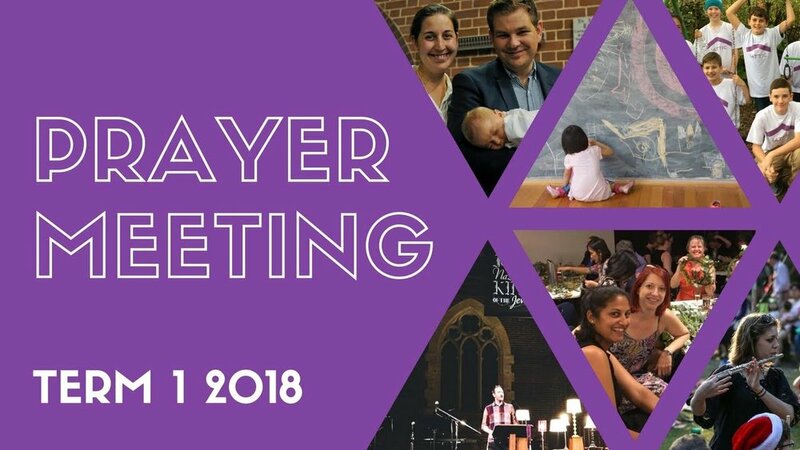 This year sees a new initiative, with a “Launching Prayer Meeting” to be held the first Wednesday of each term, to bathe our efforts in outreach and inclusion and growth in prayer. I hope you can make a priority of these important events in our life as a church, as we begin another year in the Lord as his people.